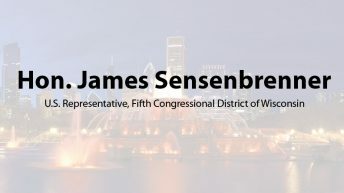 F. James Sensenbrenner, Jr. (Jim) represents the Fifth Congressional District of Wisconsin. He has served the district since his election in November 1978, after serving 10 years in the Wisconsin State Legislature. 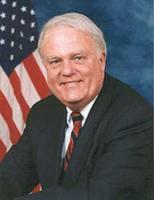 He serves on the Committee on the Judiciary and the Committee on Science and Technology. 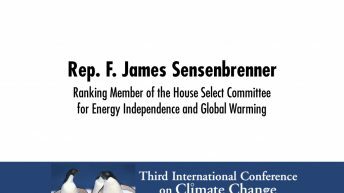 He also serves as Ranking Member on the Subcommittee on the Constitution, Civil Rights, and Civil Liberties, as well as the Select Committee on Energy Independence and Global Warming. He is the former chairman of the Judiciary Committee and former chairman of the House Committee on Science, where he solidified his reputation as an independent leader on science issues. Throughout his public life, Jim has been at the forefront of efforts to eliminate wasteful government spending and protect the interests of American taxpayers. 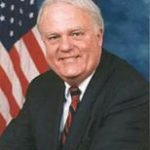 He has regularly been cited by the National Taxpayers Union as one of the most fiscally responsible House Members and is well known for completing his financial disclosure forms down the penny. He did his undergraduate studies at Stanford University, where he majored in political science. He then earned his law degree at the University of Wisconsin-Madison in 1968.